There are a ton of Ford Mustangs out there from the stock to the factory specials and the insanely-modified. 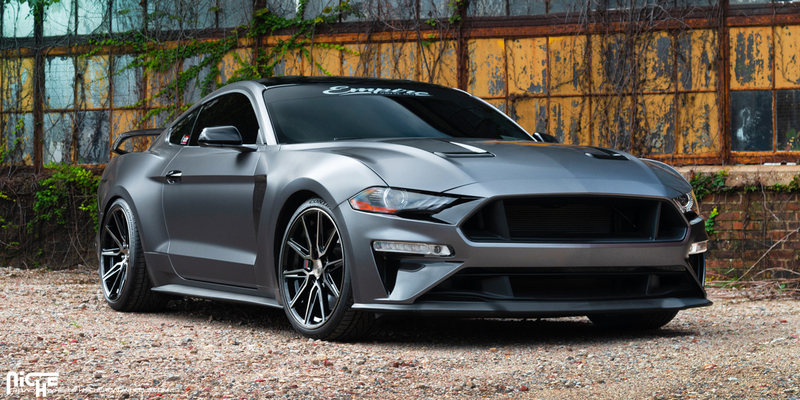 This newly facelifted Ford Mustang GT has been tastefully modified and features a new set of Niche Wheels that are just begging to be spun by drivers. The Ford Mustang is an impressive beast in stock form, especially the GT model. 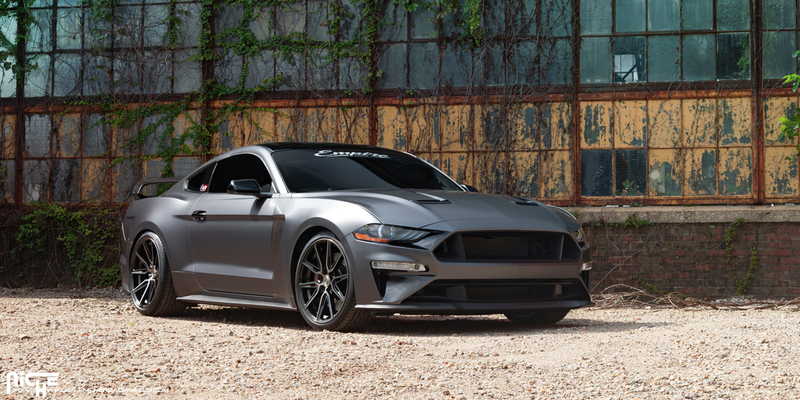 Right from the factory it comes stacked with a classic 5.0-liter naturally-aspirated V-8 engine that spits out a whopping 460 horsepower at 7,000 RPM and 420 lb-ft. of torque at 4,250 RPM to the rear Niche Wheels. Drivers have a choice of a manual or automatic gearbox with many enthusiasts picking the former. This Ford Mustang GT isn’t exactly factory, though. You can bet there’s quite a bit more power especially because of the sound coming from the new stainless steel quad exhaust system is downright sinister. There’s also new aero such as the front spoiler lip, new grille, hood with air outlets, side skirts, and monster rear spoiler that curves around the trunk. This required a new set of rims and Niche Wheels were the perfect choice. 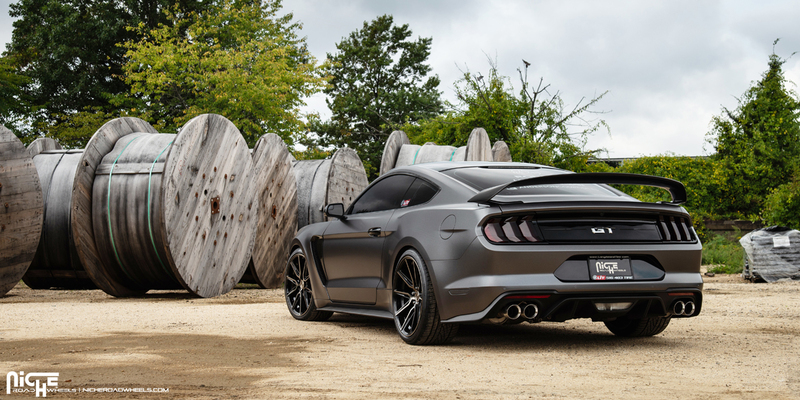 This Ford Mustang GT was adorned with a new set of Niche Gemello – M219 rims. These Niche Wheels feature five spokes that split into a fork with jagged edges as they reach the edge of the rim. 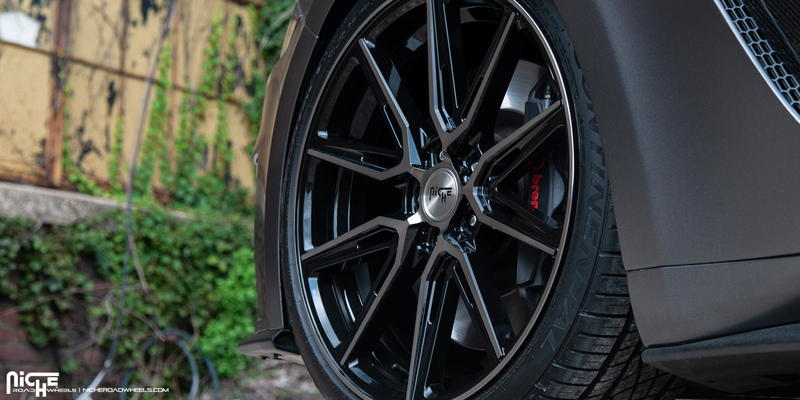 The concave profile progresses in the staggered 20 x 9.0 front and 20 x 10.5 rear setup, adding some visual muscle. 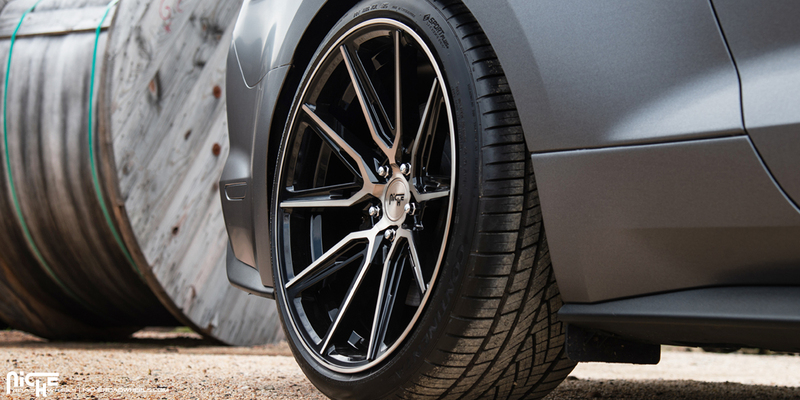 Each one of the Niche Gemello – M219 rims features a Machined DDT face with Gloss Black windows that matches the Satin Grey body of the Mustang GT perfectly. The Ford Mustang GT is perfect for those that love to rip around town and go for a drive. This modified pony car is all that and then some with its new upgrades and Niche Gemello – M219 rims. Keep it Cool with this Toyota Camry on Niche Wheels!